Mountain Lake is a big, beautiful, and sometimes dangerous Canadian border lake. Its massive length gives way to stunning views, but can also make for difficult to downright treacherous paddling conditions on windy days. 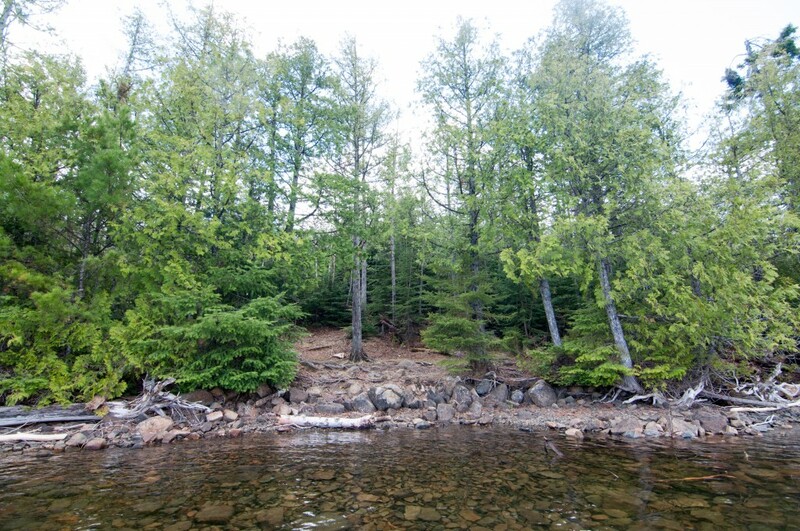 Compared with other lakes in the area during the spring, Lake Trout fishing on Mountain is second to none. Although the size of trout in Mountain run a bit smaller than average (15″-22″) the numbers of fish are high; which is why we sometimes call it the “grocery store”. 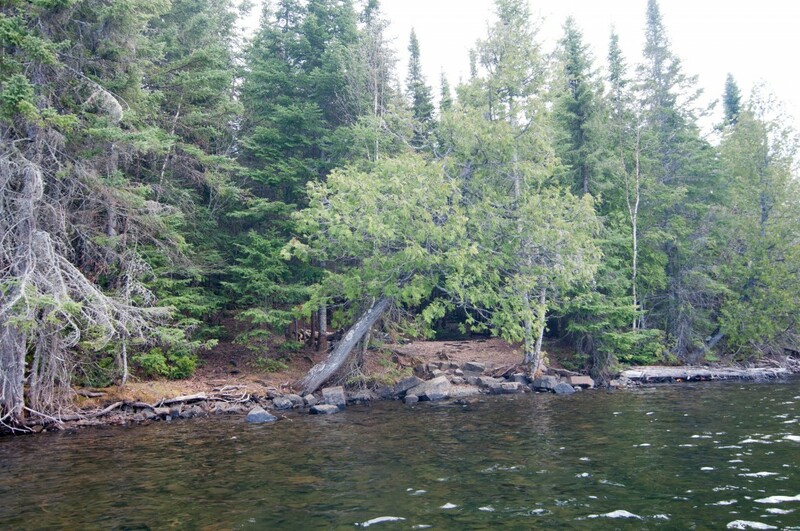 Because it is a border lake and the north shore is entirely in Canada the campsites are all on the south shore. The steep hills on the south side of the lake make for smaller than average site size, and the potential for flooding in tent pads during wet weather is higher. 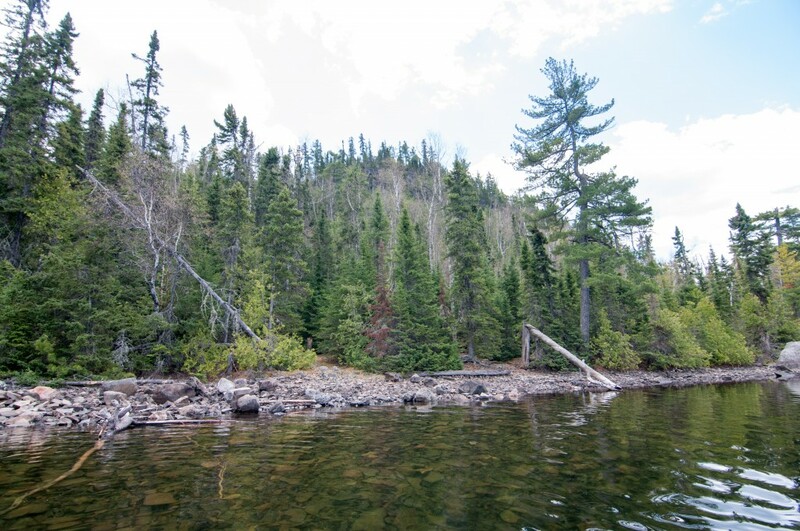 It is a popular lake in the spring when the Lake Trout are shallow but becomes a relatively quiet spot in July and August once the trout go deeper. 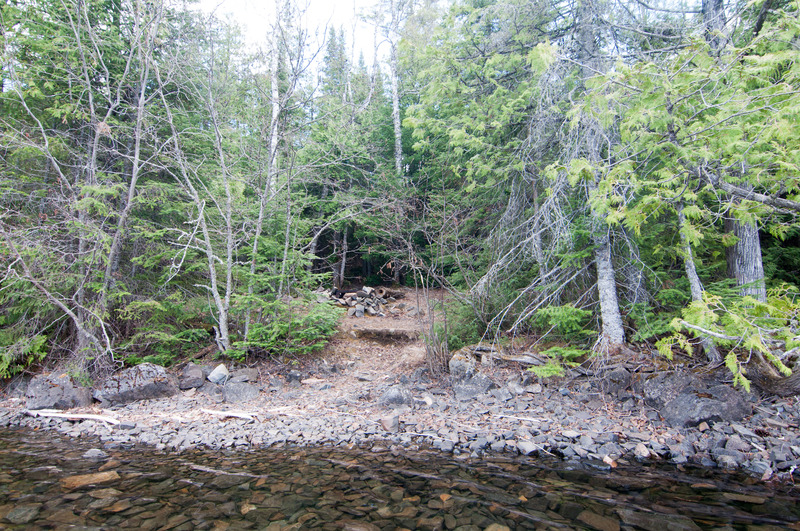 The first site on Mountain is a little under a mile from the portage into Clearwater and gets the most use. 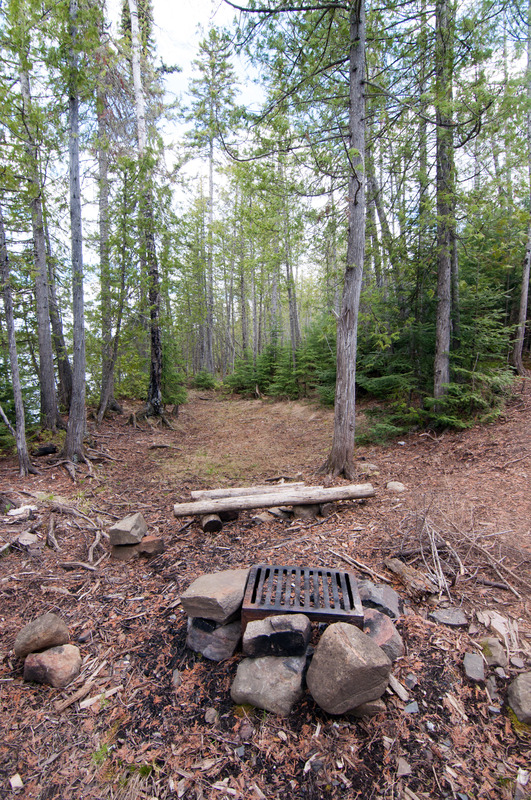 Its reasonable landing opens up into a nice campsite with plenty of tent and hammock options. The fire grate area is nice and flat and mostly faces the lake. 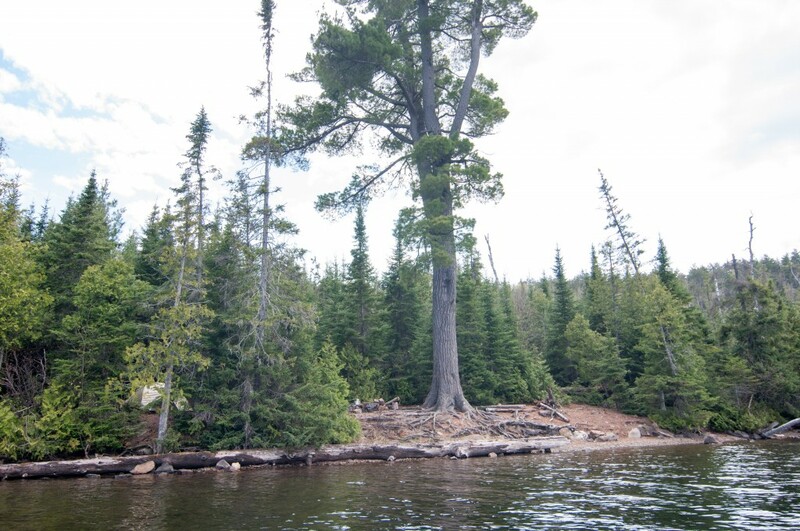 The massive white pine tree that survived the 1999 blowdown makes this site easy to find. 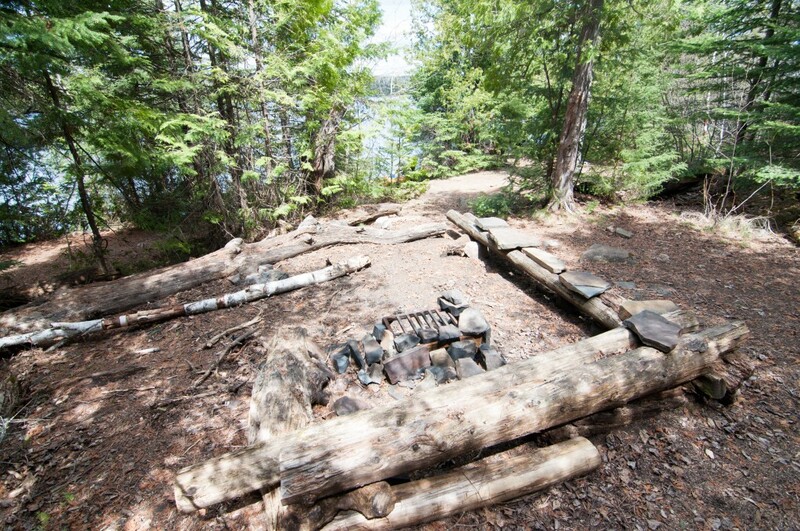 Its canoe landing area is the best on lake and though the site itself is a little small the two tent pads are large and free of rocks. 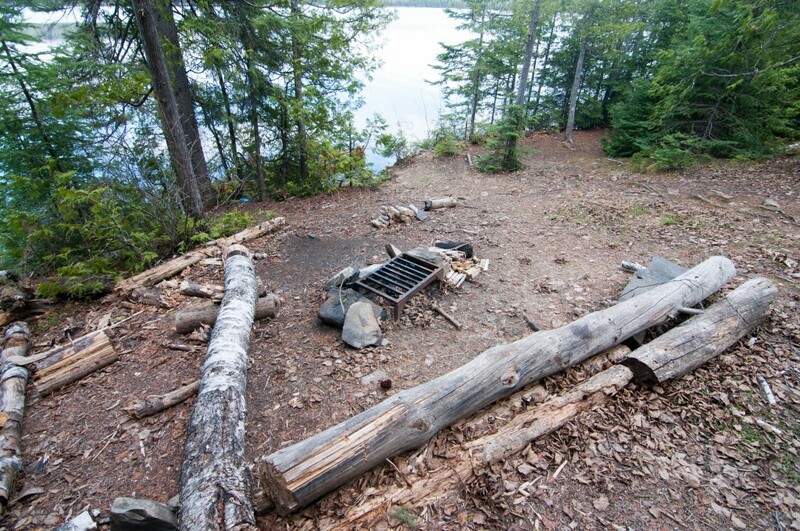 A nice open view to the north makes the fire grate area one of the nicest on the lake. This is the nicest spot on the lake. It is the largest and offers the most sleeping options, for both tents and hammocks. It has a nice landing in front of the site and one on the backside of the small point it sits on which is a great feature on windy days. The interior of the campsite is nice and protected from the wind as well. 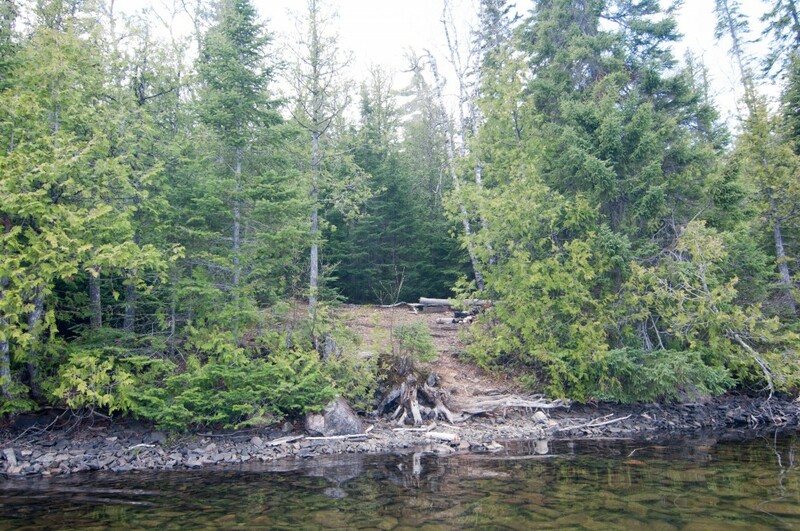 This hole in the wall campsite can be easy to paddle right past. If you happen to miss the landing don’t worry you’re probably better off. 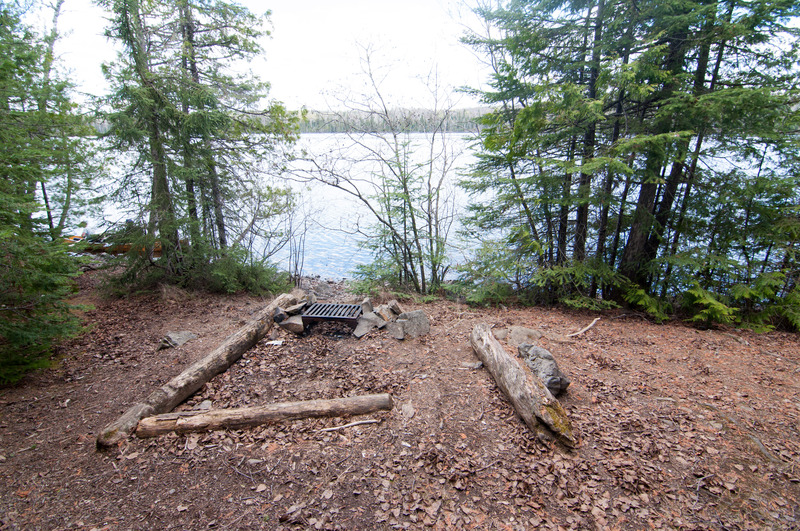 A rustic, uneven fire grate area sits right on the waters edge with one small tent pad directly adjacent. It would work for 2-3 people but no more than that. This is a pretty average site all around with a couple of things to keep in mind. The tent pads although nice and flat are notorious for flooding as they sit directly at the bottom of a steep hill in a bit of a trench. 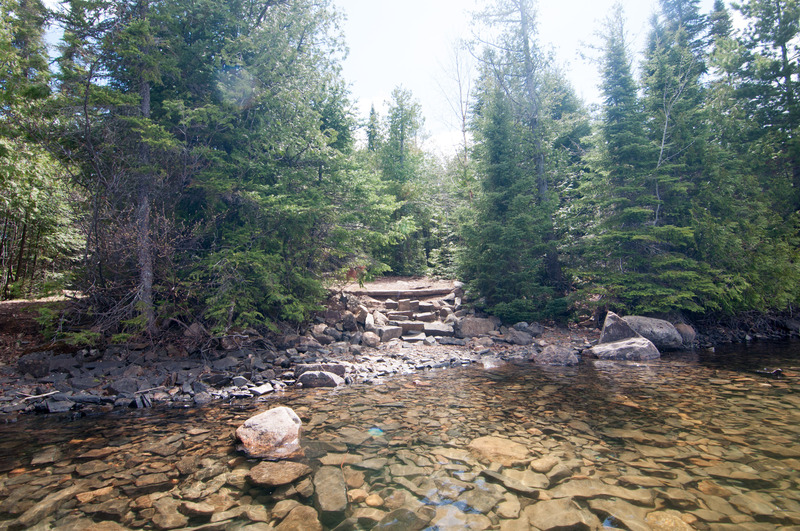 The portage into Pemmican Lake runs directly out the backside of this site, which can be a good thing if you’re fishing the lake, and bad if somebody else is. This is another small slanted campsite which can be difficult to find. It clearly gets little use and would be tough to accommodate more than a few people. 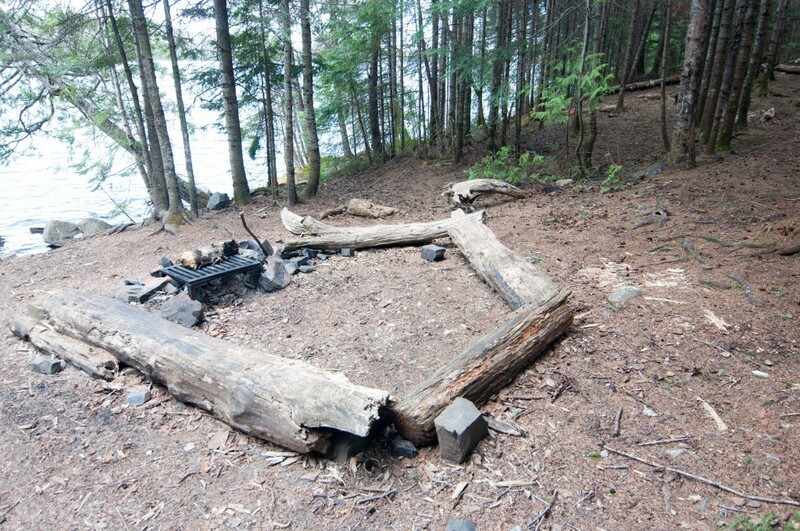 In black and white terms this is probably a sub-par campsite. 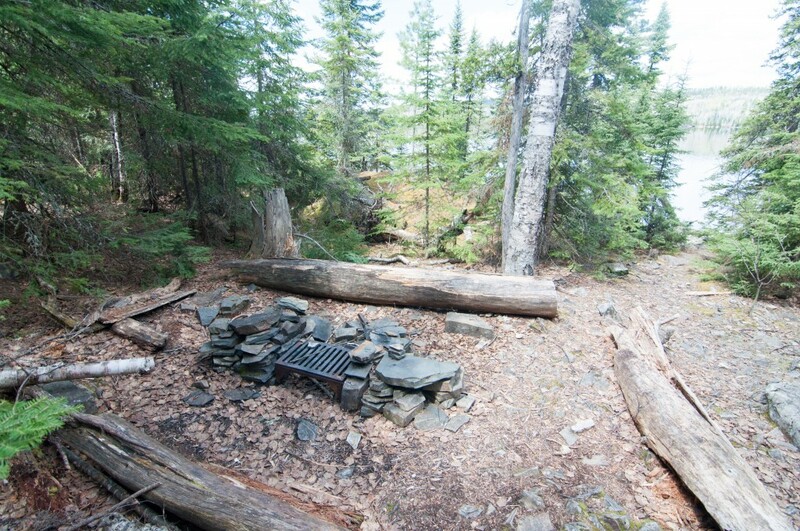 It has a small fire grate area, a rocky landing and two spread out tent pads. It has a very unique layout though and has a truly wild feel considering its remote location. This spot has a “feeling” to it that is evident from the moment you step foot onto it.